A creamy, non-foaming face wash that cleanses gently. Great for skin prone to dryness or irritation. More suds means more cleaning action, getting rid of excess oil without over-drying your skin. A frothy, unscented face wash that works well for most skin types, cleansing without being overly harsh. The best face wash gets rid of makeup and oil without irritating your skin by stripping away moisture. Finding the perfect formula depends partly on avoiding ingredients that are too harsh for your face, like sodium laureth sulfate or simple alcohols — and partly on your skin type. After talking to dermatologists, cosmetic formulators, and physicians, we found three outstanding cleansers for dry, oily, and combination skin. We rounded up the top sellers from six popular retailers of personal care products — Walgreens, Amazon, Target, Sephora, Ulta, and Birchbox — sticking with products marketed as “facial cleanser” or “face wash. We skipped products specifically for treating acne or taking off makeup, plus micellar waters, exfoliants, and oils. We also checked out buzzed-about products on “best of” lists from beauty powerhouses Birchbox and ELLE — adding 16 cleansers that garnered high praise from beauty editors. We ended up with a list of 37 cleansers, ranging from Dove's simple soap bars, available in bulk for less than a dollar per ounce, to Eve Lom's luxurious $80 jars of cleansing paste. We consulted 12 dermatologists, a cosmetic chemist, a product developer, and the director of education at skincare brand Luzern to find out what should (and shouldn’t) show up in the ingredient list of your face wash. The consensus was clear: Your face has different needs than the rest of your body. Jeffrey Lewis, a formulations chemist who develops personal care products, explained that “the skin around the face is much more thin than the body,” and that the best facial cleanser won’t be as harsh as body wash or hand soap. Using harsh ingredients can cause anything from dry, itchy skin and temporary irritation to overproduction of oil (prompting breakouts). Red-flag ingredients fell into three categories: surfactants, simple alcohols, and fragrance. It’s essentially impossible to put together a comprehensive list of surfactants: There’s an entire field of chemistry devoted to them, and most cleansers rely on more than one type. We cut commonly used compounds flagged by our experts, but we also tested our finalists to make sure they weren’t too drying. We also avoided eight additional surfactants, all of them harsh enough that our experts suggested avoiding them when we reviewed shampoo: Sodium Myreth Sulfate; Ammonium Lauryl and Laureth Sulfate; Sodium C14-16 Olefin Sulfonate; TEA Lauryl Sulfate; Sodium Alkylbenzene Sulfonate; TEA-dodecylbenzenesulfonate; and Ammonium or Sodium Xylenesulfonate. Gentler alternatives (that are still effective) like Sodium Cocoyl Isethionate, a coconut-oil-based surfactant, show up in our top picks instead. Two types of alcohols show up in skincare products. Fatty alcohols (like cetyl and stearyl) help smooth and condition your skin; they’re the good guys. But simple alcohols have the potential to dry out skin and cause sensitization. Those over-drying culprits, like ethanol and methanol, are often added to skin care products as antimicrobials, or carriers for solid ingredients — but their cons far outweigh their pros. We cut any products with ethanol, denatured alcohol, methanol, isopropyl alcohol, and benzyl alcohol. That’s concerning, because the ingredients that make up “fragrance” are frequently the cause of allergic reactions. In fact, one five-year study funded by the FDA found that fragrance is the leading cause of allergic reactions to cosmetics. Our experts consistently referred to fragrance ingredients as known allergens, irritants, and sensitizers — most recommended avoiding them altogether. A similarly vague umbrella term, “essential oils,” is allowed for companies who use plant-based oils in their formulas. Sometimes oils are listed individually — ”lavender essential oil,” for example — which lets you avoid ingredients that you have known allergies to. But “essential oil” as a standalone ingredient isn’t defined by the FDA at all. We cut any products that include “fragrance,” “parfum,” or non-specified “essential oils” in their formulas. In our sweep, we found that some of the most gentle-sounding products (a wash from the classic Cetaphil brand, for example) contain unspecified fragrance. People’s skin varies widely as to what it will tolerate and what will cause it overreact. We didn’t cut any products for containing ingredients (like mint oil and grapefruit oil) that might cause sensitization, itchiness, or redness, but we did note it. None of our top picks contain these ingredients, but some of our runners-up do. Testers used each cleanser as directed without applying additional products, noting if their makeup was fully removed and how their skin felt afterward (any dryness, redness, or itching?). We preferred cleansers that left us feeling clean but hydrated, without a trace of makeup. Despite their soothing names, Renee Rouleau Moisture Protecting Cleanser and New York Dermatology Group Colloidal Oatmeal Cleanser left our faces uncomfortably tight and itchy, while Eve Lom deposited a faintly oily sheen that made one tester want to wash her face again. Our Fresh Soy Face Cleanser was pleasant, but left us picking off stray pieces of mascara. The source of a classic cleanser’s foam is generally its surfactant — the stronger the surfactant, the more intense the foam. Because we cut extremely harsh surfactants, we knew none of our finalists would hit dish-soap levels of bubbles, but we wanted to be sure that the texture was pleasant. Milder surfactants mean fewer bubbles. Most facial cleansers delivered at least a little foam (which our testers appreciated). Only a few were off-putting. Sunday Riley’s Ceramic Slip Clay Cleanser had a “sludgy” texture we weren’t crazy about. Philosophy’s The Microdelivery Daily Exfoliating Face Wash was gritty enough that it left our tester red-faced after just one use. And we would have guessed Origins Checks and Balances Frothy Face Wash was men’s shaving cream in a blind test: It smothered us in a dense, aftershave-scented foam. Eve Lom’s semi-solid cleanser comes in a tub and requires you to scoop it out with your fingers and let it melt — fine as an occasional extra step, but not a ritual we wanted to perform daily. Philosophy’s exfoliating face wash came in a squeeze bottle made of a plastic too thick to squeeze easily. And the Vanicream bar, one tester noted, felt “unsanitary to leave out in the bathroom between uses.” The squeeze tubes and pumps of our other finalists didn’t require us to think twice about how to store or extract our face wash, a simplicity we preferred. Our top picks passed every test with flying colors: They're effective enough to remove makeup, but not so harsh that they leave skin flaky or ultra-dry, they felt pleasant on our skin, and there was nothing about their packaging that felt unsanitary or annoying. Gently cleanses with an unrivaled line-up of moisturizing ingredients. Over and over again, experts told us that dry skin needs a non-foaming, hydrating cleanser. CeraVe Hydrating Facial Cleanser fits the bill. Its ingredient deck is stacked with moisturizers, and it left testers’ skin clean and totally makeup-free. If you’ve got naturally dry skin or live in a dry climate, we’d start here. CeraVe has no noticeable lather. Water and glycerin occupy the first two spots on CeraVe’s ingredient list. 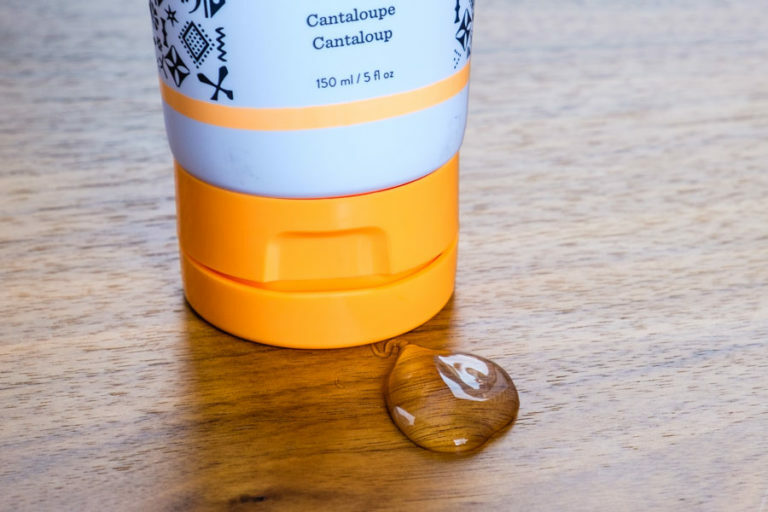 Glycerin is the “gold standard,” according to a report by Duke University: a moisturizer that’s been tested again and again and been found almost entirely hypoallergenic. 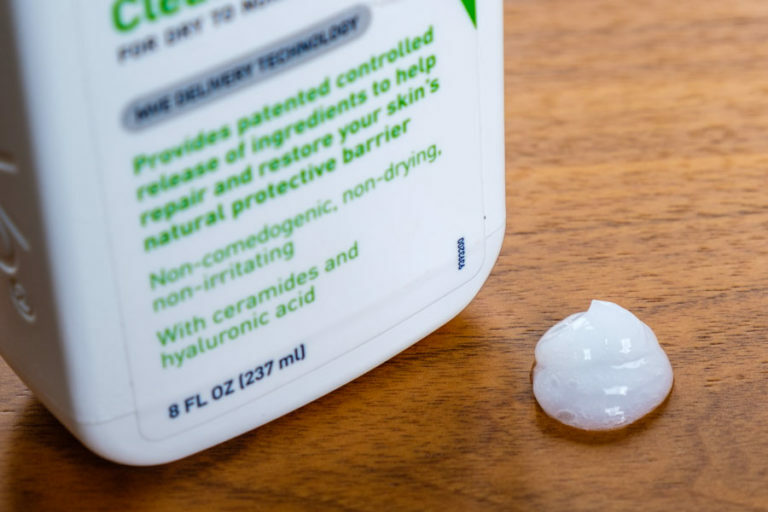 The “Cer” in CeraVe references the blend of ceramides (lipids, or oils) used in the brand’s products — ceramides mimic our skin’s natural system of staying hydrated and are another effective moisturizer (in addition to being a powerful anti-aging ingredient, as Paula Begoun of Paula’s Choice explains). Despite being so gentle, we were surprised to find that CeraVe removed all of our makeup. Most other foamless cleansers, like Tammy Fender Cleansing Milk and Eve Lom Cleanser, fell to CeraVe because they left faint raccoon eyes behind. Even testers who weren’t totally sold on CeraVe’s texture admitted they’d continue using it: It’s a superbly gentle cleanser that still cleans. Not all of our testers were on board with this texture. Because there’s no foam or bubbles to shove around, it’s harder to tell when you’ve washed every nook and cranny of your face, and testers tended to use more product than normal in pursuit of satisfying coverage. You won’t find any extras beyond gentle surfactants and moisturizing ingredients. 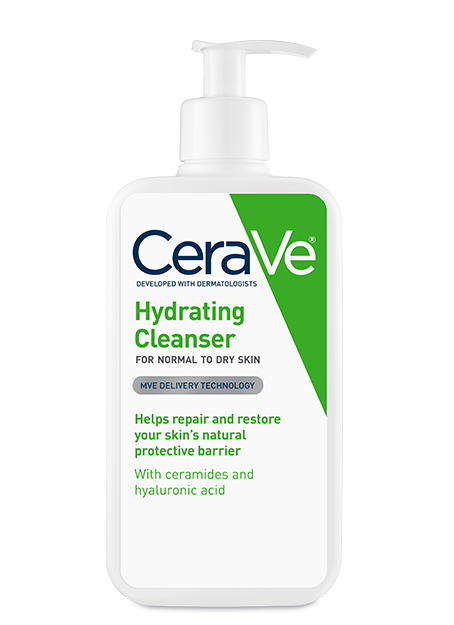 CeraVe is not an exciting face wash, but that’s great news for anyone with sensitive skin. Most of the experts we spoke with were firm that the fewer ingredients, the better. It’s also the least expensive of our top picks: Just over a dollar per ounce and widely available online and in drugstores. Excess oil washes down the drain with this bubbly gel. At first, applying Drunk Elephant feels a bit like applying aloe vera. It’s got a thick, gel-like texture that we found downright soothing when coupled with room-temperature water. As you lather, the gel produces a satisfying layer of bubbles, reminiscent of a bubble bath — not quite a foam — that’s successful at whisking away makeup. Other bubbly cleansers weren’t as popular with testers. DNA EGF Renewal is similar: It pumps out in a thick gel, though it produces less foam than Drunk Elephant — but we found it slightly more drying, and we were puzzled by its citrus scent, despite no fragrance components on the ingredient list. We found Renée Rouleau Moisture Protecting Cleanser similarly drying. Drunk Elephant has more surfactants than CeraVe, and produces lather that's more bubbly. With multiple surfactants, Drunk Elephant does a great job of ridding your skin of oils. 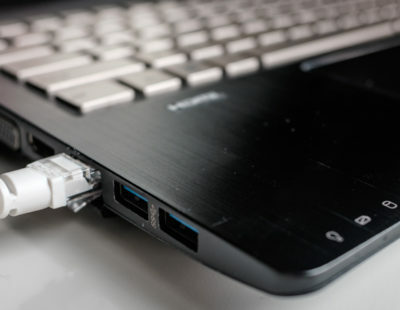 But again and again users told us about what it didn’t do. “This is the first cleanser I’ve ever used that doesn’t leave my face feeling dry and tight after cleansing,” wrote one. Glycerin helps replenish hydration levels while cleansing and cantaloupe fruit extract is rich in antioxidants to soothe and hydrate skin, so your face will feel freshly clean, but not stripped dry, after use. 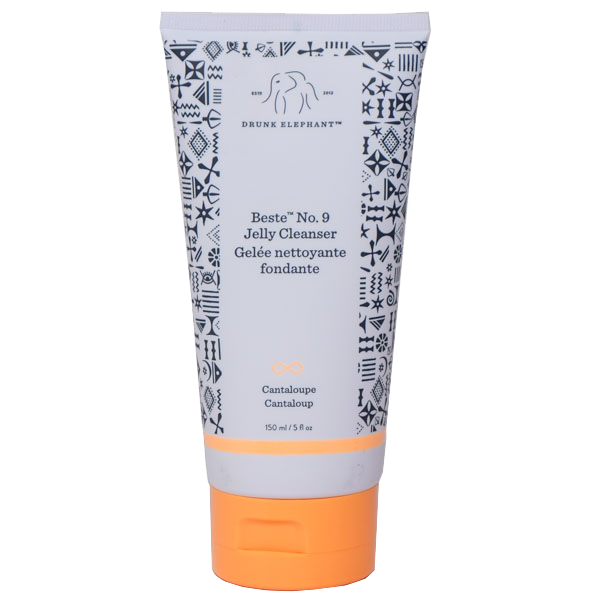 At $32 for a five-ounce tube, Drunk Elephant was our priciest choice (though it came in second if you included our runner-up Tammy Fender Cleansing Milk, which retails for $55 for five ounces). If you’re on a budget, you may want to skip it in favor of our oily skin runner up, Ole Henriksen Find Your Balance Oil Control Cleanser, which cost seven dollars less for the same size. Not sure whether your skin is oily or dry? Here’s an effective, frothy middle ground. 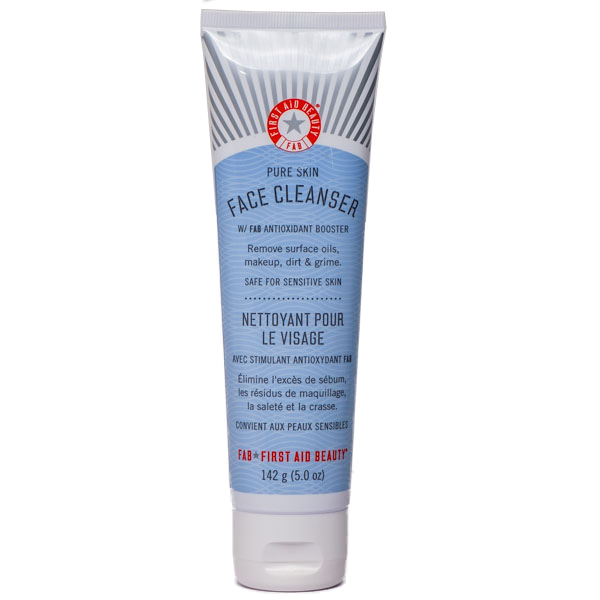 Not everyone’s skin falls neatly into “oily” or “dry.” If you’re not sure what cleanser to buy, First Aid Beauty Face Cleanser walks the line between the two camps. It boasts a straightforward list of gentle surfactants and moisturizers — nothing that’s a red flag for sensitive skin. First Aid Beauty Face Cleanser feels a bit more luxurious than using CeraVe. Its scent is still nonexistent, but the pearlescent cream produces a dense lather with fewer big bubbles than Drunk Elephant. First Aid Beauty's foam is more dense than Drunk Elephants, with smaller bubbles. This one nearly got edged out by Vanicream, the ultimate in no-nonsense facial cleansing, but First Aid Beauty’s cleanser ultimately won out for its texture and feel. Vanicream’s sterile, hand soap vibes weren’t a favorite with testers, who were won over by First Aid Beauty’s circus-slash-beachside branding and velvety, luxe texture. Testers with oily and dry skin agreed that this left their skin feeling clean and hydrated. 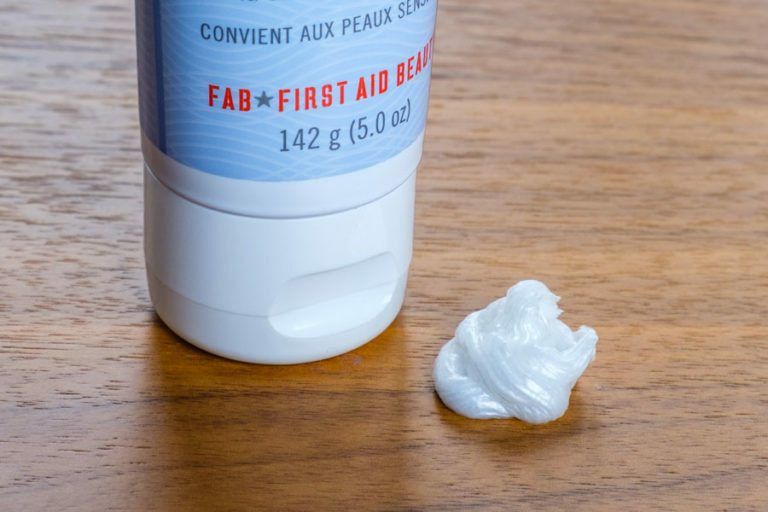 First Aid Beauty wasn’t our most inexpensive option — that would be CeraVe, by a long shot. In fact, it came in right in the middle of our six finalists. But again and again users told us that you need only a tiny amount of the product to build up a good lather. It may take you a little while to find that sweet spot between too much and too little, but when you do, we think you’ll find that a tube lasts a good long time, and allows you to get a good bang for your buck. Although this product contains no fragrance ingredients, users report a slight, medicinal scent that for some, is unpleasant. “Fragrance free doesn’t necessarily mean scent-free,” said one user, who went on to comment on a chemical-like smell. We didn’t find it particularly obvious or obnoxious, but if you are very sensitive to smells, this product may not be to your taste. An extremely moisturizing, non-foam wash that goes heavy on essential oils, like lavender and grapefruit. If you’ve never had a problem with scented products, and want an exceptionally gentle face wash, Tammy Fender is a good cleanser to consider (especially paired with a dedicated eye makeup remover). 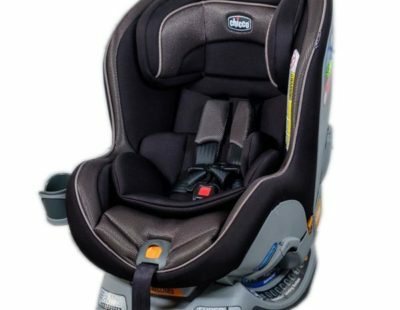 But if you’ve experienced sensitivity to products in the past, you may want to skip this one. A mild, minty, herbal scent, plus enough lather to leave oily skin feeling clean. Ole Henriksen Find Your Balance Oil Control Cleanser smells like mint tea and won our hearts by cleansing well and leaving skin still feeling healthily moisturized. The peppermint oil that gives it such a fresh, crisp scent can be great or not-so-great, depending on your skin. Jeffrey Lewis singled out mint when we talked to him about essential oils, telling us it can lead to “a tingling sensation on the skin” that can cause irritation for some, but also has the benefit of “speeding up blood flow to the area,” which he says can increase cell-turnover (promoting healthy skin). Another good option for combination skin, with utilitarian packaging and a drugstore price. 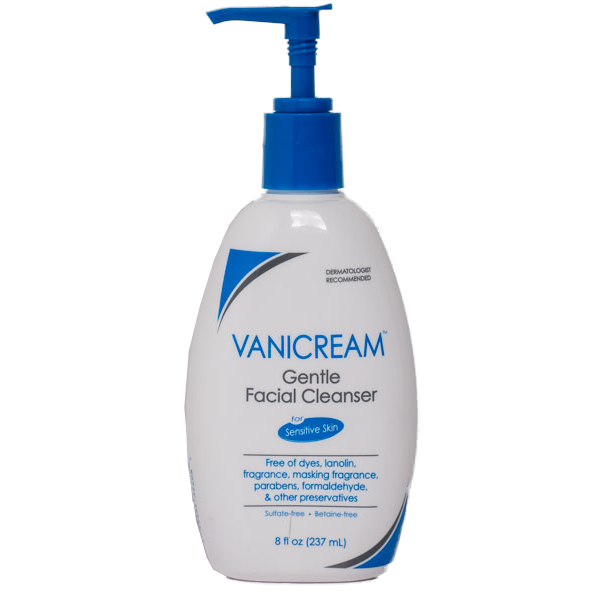 Vanicream Gentle Facial Cleanser isn’t flashy, but we were surprised by how it modestly won us over. It belongs in the same camp as top pick First Aid Beauty and yields similarly well-balanced results. It’s not quite so rich and creamy, though, and pumps out like hand soap. If you want to try it, it’s a drugstore brand with a price tag on-par with CeraVe. “Sensitive skin” isn’t a medical condition, but people generally use the term if they have a history of adverse skin reactions, like if your skin tends to get itchy or red when you use an unfamiliar or scented product. Our experts recommend everyone, regardless of skin sensitivity, either stick with basic products with the fewest ingredients possible (like any of our three top picks), or test new cleansers out on a small patch of skin before going all in. If you’re someone who likes to experiment and you have sensitive skin, try asking the staff at Sephora and Ulta if you can take home just a little bit of the product to try before buying a full bottle. 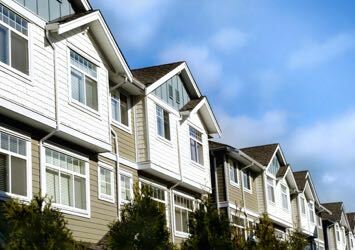 If you’re shopping for multiple products, it’s best to work them gradually into your routine. Changing everything at once can cause your skin to freak out — and make it impossible to determine which product is guilty. Ultimately, no matter how promising its ingredient list, your face wash can only do so much. Even using our top pick for dry skin (CeraVe Hydrating Cleanser) in all its hydrating glory requires a moisturizer afterward. You can read about our favorites. What’s the best way to keep my face clean and hydrated? Kerry Benjamin, aesthetician and founder of Stacked Skincare, says the tools you use and your approach to the cleansing process are equally as important as the product. She recommends starting with a dedicated makeup remover, followed by a face wash, and exfoliating with a weekly peel to slough off dead cells and reveal brighter, clearer skin. How often should I use an exfoliant? To finish off your routine, look for a moisturizer that works for your skin type, preferences, and environment. Every good moisturizer will have hardworking humectants that attract moisture to your skin (our favorites are glycerin and hyaluronic acid) and an occlusive to keep that moisture in. Yes. A good moisturizer doesn’t make skin oily; it allows water to pass through the epidermis to the layers underneath — and hydrated skin is healthy skin. In fact, if your skin dries out from a lack of hydration it will manufacture more oil that can clog pores and lead to break-outs. If you have consistently oily skin, look for moisturizing products that are labelled nocomedogenic, which means they don’t cause acne, and look for ingredients like glycerin and hyaluronic acid, which won’t trap oils. Can I use my facial cleanser to clean off eye makeup? It’s tempting to skip a step in your facial cleansing routine when you’re tired after a long day. But it’s best if you don’t. The skin around the eyes is very thin and lacks the subcutaneous fatty tissue that protects the skin in other areas of your body. Using a product that is not formulated especially for that skin may lead to dark circles under your eyes or tell-tale wrinkles. Plus, it’s asking a lot of your facial cleanser to remove all your waterproof 24-hour mascara and clean the rest of your face as well. Better to remove makeup first, then cleanse. Your skin is the largest organ in your body, and we want to help you treat it well. We’ve talked to the experts, studied the research, and done the testing to find the best skin care products for you.